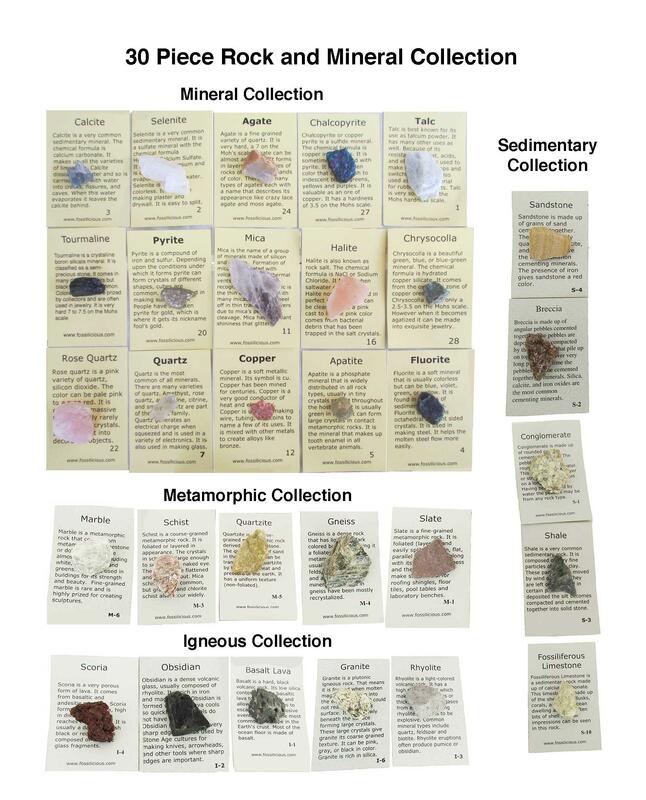 Rock and Mineral Collection, 30 specimens This 30-Specimen Rock and Mineral Collection has one each of 5 igneous, 5 metamorphic, 5 sedimentary rocks and 15 minerals. 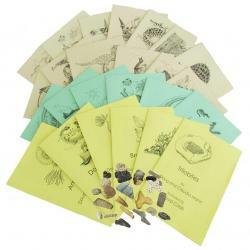 Each specimen is packaged separately with an information card. 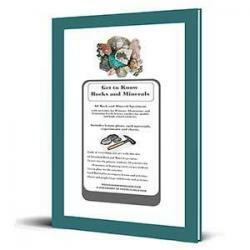 The collection is suitable for study of the rock cycle and properties of minerals. 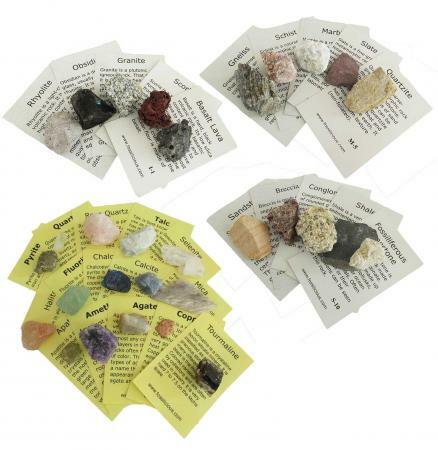 Activities for this collection are available as free downloads from www.rocksandminerals4u.com.